Yunnan, which refers to 'the place south of the colorful clouds', or 'the place south of Yunling (yún lǐng 云岭) Mountain', is the most southwest province of China. Externally, it borders Vietnam, Laos and Burma; internally, it is neighbor to Guizhou (guì zhōu 贵州), Guangxi (guǎng xī 广西), Chongqing (zhòng qìng 重庆), Sichuan (sì chuān 四川) and Tibet (xī cáng 西藏). It is a land of various ethnic groups, landscapes, natural scenery, creatures, etc where one could taste the most aspects of our planet. According to our Chinese culture, a perfect place should consist of both the waterscape and the mountain. Yunnan’s mountains are also famous. The mountains and rivers in Yunnan are both very superb landscape. In the Mesozoic Era, gigantic dinosaurs could be found strolling among the tropical and sub-tropical plants in marshlands and forests. One day in the Cretaceous Period, all of these herbivores disappeared mysteriously. Tens of thousands of years later, people found their fossils under the stratum of Lufeng County (lù fēng xiàn 禄丰县) in central Yunnan. In Jinning (jìn níng 晋宁), beside Dianchi Lake (diān chí 滇池), there are also 200 dinosaurs footprints left in the Jurassic Period. 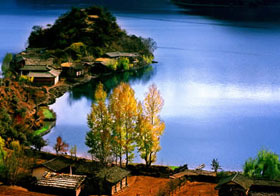 Yunnan is one of the birth places of mankind. Between 10 and 15 million years ago, a kind of apeman came down from the trees to the ground, leaving traces from Yuanmou (yuán móu 元谋) in central Yunnan to Kaiyuan (kāi yuǎn 开远) in southern Yunnan. Between 1956 to 1957, fossils of "Lama Ape Man" were discovered in the coal layers at Xiaolongtan (xiǎo lóng tán 小龙潭), Kaiyuan. They are the earliest example of man in the Chinese geologic age. Later, scientists found a fossil of "Yuanmou Xiaohe Ancient Ape", which has more characteristics of modern man.In May 1965, paleoanthropologists discovered the fossil of "Yuanmou Ape Man", the ancestor of the Chinese people, who lived more than 1.7 million years ago. During the long Paleolithic Age, Yunnan became more prosperous. Early Homo Sapiens lived in Zhaotong (zhāo tōng 昭通), and in later stages they lived in Lijiang (lì jiāng 丽江), Kunming (kūn míng 昆明), Xichou (xǐ zhōu 喜州) and so on. With the coming of the Neolithic Age, many nationalities and tribes lived together on this vast land stretching from northeastern Yunnan to the Lancang River Valley, from the middle and upper reaches of the Jinsha River (jīn shā jiāng 金沙江) to the Erhai (ěr hǎi 洱海) and Dianchi lakes. They created diversified folk traditions and strong inter-relationships. Yunnan is also an important passage for migration between different tribes. People could move freely and seek their ideal place to live. They traveled far greater distances and shared cultural exchanges far more widely than we can imagine. 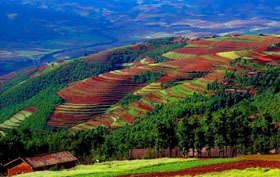 Entering Yunnan, you will find the colorful plateau culture. Entering Yunnan, you will experience the rich ancient human civilization. The topography changes a lot on this land due to the sharply decreasing altitude. It can roughly be divided into west and east, each with its own very different morphological regions. In the west, the high mountains and valleys are closely spaced, forming a steep, unusual, and dangerous landscape. The famous Three Parallel Rivers is located here. In the east is the plateau area, which mainly consists of undulating low mountains and round hills. Among the plateaus and mountains are scattered many fault basins, which are called 'Bazi' (bà zǐ 坝子) by the locals. The 'Bazi' are relatively flat with thick soil deposits and flowing rivers, hence fertile and helpful in developing the farming economy. Kunming, the capital city of Yunnan, is located in one of these 'Bazi'. What's more, the diverse topographies nurse the greatest number of plant species (more than 18,000) as well as an incredible array of animals, including the Asian elephant and the protected golden monkey, making this land the real 'Plant Kingdom' and 'Animal Kingdom'. 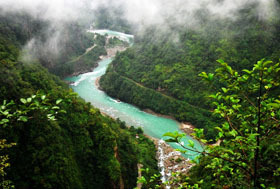 The province also boasts beautiful and spectacular natural scenery with the changing topographies, like Jade Dragon Snow Mountain (yù lóng xuě shān 玉龙雪山), Tiger Leaping Gorge, Meili Snow Mountain (méi lǐ xuě shān 梅里雪山),and the Stone Forest (shí lín 石林) as well as many more. 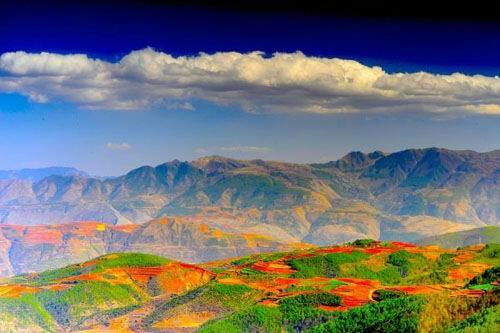 Yunnan is characterized by its low latitude and its highly complex topography. The weather is very dry in the winter when the land is under the control of continental monsoons, and the summer is comfortable as the humid air is carried in from the Indian ocean. One can experience seven different types of climate in the province, namely those of the northern tropical zone, the southern Asia tropical zone, the central Asia tropical zone, the northern Asia tropical zone, the southern temperate zone, the central temperate zone and the alpine zone. The land of Yunnan slopes down from the north to the south. The difference between the highest and the lowest points is 6,663 meters. As is expected this creates sharp differences in temperature throughout the province. Local residents describe the province as "having four seasons on one mountain, and a different weather 10 li apart". Topographical and climatic differences, along with longer frost-free periods and more sunshine, provide Yunnan with perfect conditions for developing a widely divers agricultural industry. In ancient times, the vast region along the Hengduan Mountain range and the rivers running beside the mountains was like a huge corridor through which residents of Yunnan exchanged visits and carried out trade with people from outside the province and even outside China. These river basin areas were the cradles of Yunnan's ancient civilization, and they provided a channel to link the inland areas of China with other Asian countries and even the Africas. 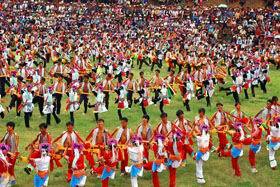 Yunnan is a microcosm of China in the areas of minority affairs and nationality relations. The province has 25 minority groups, nearly half of the country's total (56 ethnic groups ). With such ethnic diversity it is important to ask the question: what criteria are used to determine minority status and classification? Basically, there are five ways: Race, Language, Culture, Religion, History. In Yunnan race is not a major consideration, as it is in northwest China where Caucasian exist, Language and culture, however, are of primary interest because they are the basis for classifying most minority nationalities. Religion plays a role in groups such as the Hui (回) (Muslims) who, to all intents and purposes, are Chinese except for their faith. Historical background can sometimes tip the balance in determining the status of a people. The Bai (bái 白), who have a high cultural level and speak a language closely related to Mandarin, are clearly not Chinese on the basis of their long, well-recorded and independent history. Except 25 minorities mentioned in Yunnan, there are three kinds of the Peoples, which are Aini (ài ní 爱倪) Ethnic People, Mosuo (mó suō 摩梭) Ethnic People, and Sani (sā ní 撒尼) Ethnic People, for the reason of they are not the really a kind of minority in China. but they are the certain branches of the minorities. The three Peoples have the special customs which are quite different with their original nations and very interesting in the recent days for their names in tourism of Yunnan. Depending on how one looks at it, Yunnan Province can be divided into two main regions or into three main land forms. The division of the two main regions is east to west, where the eastern section is a high plateau dotted with lower mountains and hills (the plateau's elevation averages 2000 kilometers above sea level) - the Yunnan Plateau, which can be further subdivided into the Diandong (diān dōng 滇东) and Dianzhong (diān zhōng 滇中) Plateaus - while the western section is the alternating mountain and valley terrain of the Hengduan Mountain Range (héng duàn shān mài 横断山脉). Here are high mountains interspersed with deep valleys, some of which are in fact deep gorges, creating a ruggedly beautiful terrain. This latter part of the province also offers the greatest spread in climate, with frigid, snow-capped mountain peaks adjacent to deep gorges with what amounts to a tropical climate in a subtropical zone, thanks to the depth and the narrowness of the gorges, which choke off the wind and increase the heat, though not the humidity/ precipitation (to read more about the province's climatic pattern on a separate page, go here). In addition to the east-west topographic division of Yunnan Province (and in addition to a northeast-southwest division into distinct land forms, to be discussed below), there is a north-south topographic division that also affects the climate in two ways: the farther south one proceeds the closer one approaches the Tropic of Capricorn (the lower the latitude), on the one hand, and, on the other hand, the farther south one proceeds the lower the altitude, since the western section of the province varies in altitude from 4000 meters above sea level in the north to only 1500 meters above sea level in the south. But the eastern section of the province, part of the Yunnan-Guizhou Plateau (yún guì gāo yuán 云贵高原), is not featureless and flat: it consists of low mountains and rolling hills accentuated by a number of sharp, karst pinnacles. Lastly, Yunnan Province can be divided into three distinct landforms: high mountains in the northwest, low mountains in the southeast, and a plateau in the middle. 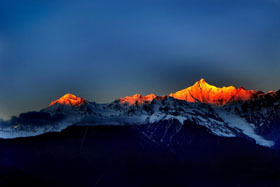 The principal mountains include the Wang (wáng shān 王山), Jiaozi (jiào zǐ shān 轿子山), Liangwang (liáng wáng shān 梁王山), Niushou (niú shǒu shān 牛首山), Wuliang (wǔ lián fēng 五莲峰) and Wumeng (wū méng shān 乌蒙山) mountains in the east, while in the west lie the Yunling Mountain Range, the Yulong (Jade Dragon), the Meili and the Baima (White Horse) Snow Mountains, which are high, narrow and long, belonging to the Hengduan Mountains which stretch into Tibet to the west and into Sichuan Province to the east. Of the latter, western mountains, those in the north are the highest, and are clothed with dense forests on their lower slopes. Just south of these high mountains in the northwest are the Gaoligong (gāo lí gòng shān 高黎贡山) and the Biluo (bì luó xuě shān 碧罗雪山) Mountains, which lie in the area around the city of Lijiang, still in the northern part of the province. South of this lies the subtropical rainforest of Xishuangbanna (xī shuāng bǎn nà 西双版纳), home to China's last remaining indigenous Asian elephant herds. Where there are mountains, there are rivers and lakes, and Yunnan Province abounds in both, with over 600 rivers - 180 of which are major rivers – and some 30 lakes of various sizes. 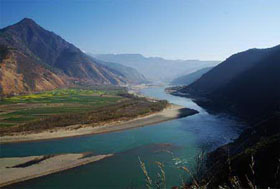 Yunnan's rivers are too numerous to name. However, they all belong to 6 great drainage systems, each of which drainage system is represented by the following 6 major rivers: the Honghe River (hóng hé 红河), aka the Red River and the Yuan River (yuán jiāng 元江) in China, while it is known as the Song Cai and the Song Ca in Vietnam; the Irrawaddy, a Burmese river (made famous by the Rudyard Kipling poem, Mandalay, the 'Road to Mandalay' mentioned in the poem is in fact the Irrawaddy River) that is fed by the Dulong River (dú lóng jiāng 独龙江), which originates in Yunnan Province's northwestern corner; the Jinsha (jīn shā jiāng 金沙江), the major headwater of the Yangtze River (zhǎng jiāng 长江); the Lancang (lán cāng jiāng 澜沧江), aka the Mekong River, it also flows through Myanmar, Thailand, Laos, Cambodia and Vietnam, where it forms one of the largest river deltas in the world; the Nujiang (nù jiāng 怒江), aka the Salween River in Tibet, it also flows into Myanmar; and the Zhujiang River (zhū jiāng 珠江), aka the Pearl, the Guangdong (guǎng dōng 广东) and the Canton River. Most of China's largest rivers that eventually empty into the sea have their origin in the mountains of this part of China, i.e., on the Qinghai-Tibet Plateau (qīng cáng gāo yuán 青藏高原). As to the province's lakes, in the north, the lakes can be divided into those which lie in the high mountains in the west and the lower mountains in the east. In the northeastern part of the province, the larger lakes include lakes Dianchi, Fuxian (fǔ xiān hú 抚仙湖), Yangzonghai (yáng zōng hǎi 阳宗海), Qilu (qǐ lù hú 杞麓湖) and Xingyun (xīng yún hú 星云湖), while in the northwest, they include Chenghai (chéng hǎi 程海), Lugu (lú gū hú 泸沽湖), and of course Yunnan's second largest lake, Lake Erhai. In the south, the main lakes are Yilong (yì lóng hú 异龙湖), Changqiao (cháng qiáo hǎi 长桥海) and Datunhai (dà tún hǎi 大屯海). The average depth of Yunnan's lakes is around 20 meters, but lakes Fuxian, Yangzonghai, Chenghai and Lugu are deeper, while Lake Fuxian, at 155 meters, is the second-deepest lake in China, and is at the same time China's deepest natural lake (the deepest lake in China, Lake Changbai (cháng bái 长白), aking Lake Tianchi (tiān chí 天池), though there is another Lake Tianchi located in Xinjiang Uyghur Autonomous Region (xīn jiāng wéi wú ěr zú zì zhì qū 新疆维吾尔族自治区), is in fact a crater lake at 384 meters depth, lying in the caldera of a stratovolcano on Mt Baekdu, which straddles the Chinese-North Korean border (the volcano is considered dormant, though its most recent eruption occurred in CE 1702, while the caldera itself stems from a major, CE 969 eruption... traces of the volcanic ash from this eruption have been found as far away as the Japanese island of Hokkaido, some 1200 kilometers from Mt Baekdu). Just like a treasure house depicted in fairy tales, Yunnan was endowed by the Creator with abundant natural resources, including rich mineral reserves, rare animals and plants, many rivers and lakes, and a mild climate with abundant precipitation. Therefore, it is often called "the Kingdom of Animals", "the Kingdom of Plants" and "the Kingdom of Nonferrous Metals". Since the Mesozoic Era, the geological movement in Yunnan has been relatively stable, and the movement of glaciers in ancient times had little effect on the land. As a result, Yunnan has become a safe haven where a number of animals and plants have sought asylum and some ancient and rare species have made their homes. Yunnan is home to animals and plants from alpine, temperate, sub-tropical and tropical zones because of its widely diverse topography. Although the area of Yunnan only accounts for 4.1 percent of China's total, it has the greatest number of species of animals of any province in China.1,704 species of vertebrate animals can be found here,accounting for55 per cent of China's total of 3,099 species, of which 200 endangered and rare species have been put under first class national protection. 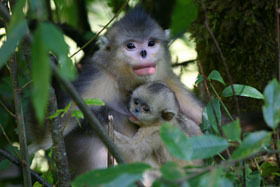 These include Asian elephants, wild oxen, Yunnan golden monkeys, gibbons, hornbills, etc. Rough statistics show that China is home to approximately150,000 kinds of insects, of which Yunnan has around 90,000 kinds. 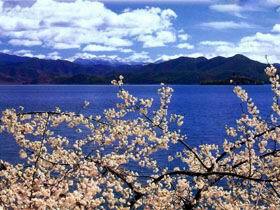 Yunnan also has the greatest number of plant species in China. China is home to over 30,000 plant species, Yunnan has 18,000 species,62.8 per cent of the total. Up to now there are only families of gymnosperm around the world,10 of which can be found in Yunnan. 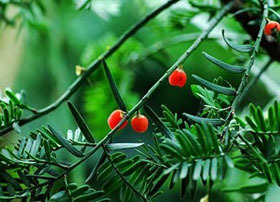 Among the rare plants growing in Yunnan some are ancient species, which scientists term "living fossils". 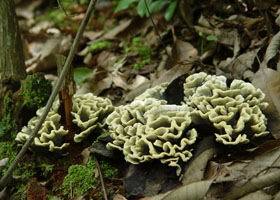 Yunnan also has over 10,000species of algae and fungus, and numerous micro-organisms. There are more than 1,000 plant species being cultivated in Yunnan, of which900 species are of high economic value and can be directly marketed. Yunnan boasts rich wild plant resources which provide excellent plant breeding stock. Yunnan has a total of 9.533million hectares of forest, ranking fourth in China, and has1.366billion cubic meters of live timber, accounting for14.2 percent of the country's total, and ranking third in China. The forests in Yunnan may be divided into 105 categories, covering almost all of the tropical, temperate and frigid zone types. Growing here are over 4,000 species of xerophytes and 800 varieties of trees. About300 kinds are on the list of cash-generating trees. Moreover, Yunnan has great potential for the development of forestry by-products. Yunnan is regarded in medical circles as a storehouse of traditional Chinese medicinal herbs. More than 2,000 species of herbs including 400 species which are the raw materials of traditional Chinese medicine grow in the Province. Pseudo-ginseng, Gastrodia elata, reticulate millettia, the bark of eucommia, the rhizome of Chinese goldthread and licorice root are of especially high quality. In recent years, some herbs, which China's pharmaceutical industry had been importing from tropical countries in the past, have been discovered growing in Yunnan. Yunnan ranks first in China for growing spice crops. There are 400 species from 69 plant families ranging from the pine family, cypress family, camphorwood family to the rarely-seen lily magnolia family. They provide abundant resources for developing the food and cosmetic industries. The province is well-known for being a "flower kingdom", where flowers seem never to fade and the spring-like weather lasts for the whole 365 days every year. Among the 2,100 species of ornamental plants growing in Yunnan, there are 1,500 flowering species. The scarlet camellia, the azalea, the primula, the gentian, the lily, the magnolia, the cymbidium and the macropedia known as the eight famous flowers of Yunnan. 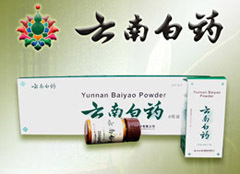 Yunnan White Powder (yún nán bái yào 云南白药) is a well-known Chinese patent drug. At the beginning, it was named as Hundred Treasures Drug. It has the remarkable effects off stopping bleeding, invigorating of blood circulation and eliminating of blood stasis, anti - inflammation, and clearing out the pus. It has been widely applied in treatments concerning injury and gynecological diseases. In 1979 and 1984, Yunnan White Powder were twice awarded the Golden Medals in China. The reserves of Dali marble are abundant. There are more than ten kinds of Dali marble products, including relief sculpture, vertical sculpture, seating screen, hanging screen, fruit container, potted landscape, ashtray and decorative marbles. With numerous mountains standing on the highland, Yunnan Province is rich in medicinal materials due to the complicated landscape and various climates. 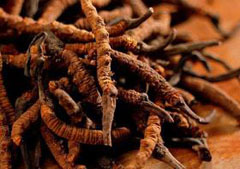 There are more than 3,000 kinds of medicinal materials including expensive and rare Yunnan gastrodia tuber, Tienchi (also not-ginseng), cordyceps, short-pedicel aconite root, amomum fruit, Yunnan radix angelica sinensis ( also radix angelica sinensis) Yunnan aucklandia root, Kunming Hill Begonia. As a tea planting province and an original tea production base, Yunnan started planting tea about 1700 years ago. Pu'er (pǔ ěr 普洱) in Yunnan became a collecting and distributing area of tea in Song Dynasty. 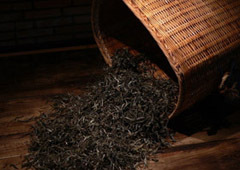 Yunnan tea is one of the world's quality broadleaf tea. The distinctive features of Yunnan tea are the bright color, the dense and durable taste. The finished products are classified into two groups by color and fragrance. Yunnan tea products include Yunnan green tea, Yunnan jade green tea, Yunnan mixed tea. The scented tea is grouped in smoked tea, white orchid tea, jasmine tea and popular jasmine tea. The transport infrastructure of Yunnan is served by numerous transport modes, and forms an integral part of the structure Yunnan Province and the Southwest of China. Yunnan is served by several civilian airports and a major highway and rail network. The province is served by a network of bus routes that radiates from the capital city, Kunming. Yunnan Province is large geographically and its transport hub in its capital, Kunming (prefecture-level city), which acts as an important gateway, linking China to Southeast Asia, South Asia and the Asia-Pacific region. Most travelers travel by flight or bus. However, railway and river travel is also possible. Train travel requires much more time than air travel. Yunnan had undergone a speedy development of its civil aviation. Kunming is the hub of both domestic and international services of Air China, China's national airline. Currently, more than 100 domestic and international air routes have been opened leading to different provinces and municipalities of China as well as Hong Kong, Macau, Singapore, Kuala Lumpur, Rangoon, Vientiane, Hanoi, Chiang Mai, Tokyo and Seoul. Yunnan has two international airports, namely Kunming Airport and Xishuangbanna airport. In the province, there are another 9 feeder airports in Wenshan, Mangshi, Simao, Zhaotong, Baoshan, Dali, Lijiang, Diqing, and Lincang. The first railway in Yunnan, the Kunming–Hanoi Railway (Sino-Vietnamese Railway), dates back to 1910. In 1941, American-supported construction began on the English Yunnan Burma Railway, but this was aborted due to Japanese advances. The building of railways in Yunnan is difficult due to rugged terrain locally and in neighboring provinces. The rugged terrains requires rail lines to have extensive bridges and tunnels which adds to construction cost. Yunnan is one of the poorest provinces in China and the construction of railways is capital intensive. After the founding of the People's Republic of China in 1949, Yunnan Province has experienced two periods of railway construction—from the late 1950s to the mid-1970s and from the mid 1990s the present, which have connected the province with the national rail network and expanded the provincial rail network. Yunnan has a developed road network centered at Kunming City. 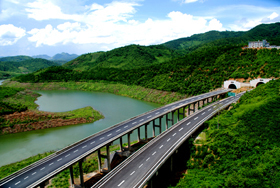 The highway network connects with the network of neighboring provinces such as Sichuan, Guizhou, Guangxi and Tibet as well as the neighboring countries such as Myanmar, Laos, Vietnam and Thailand. Over a decade ago, the mileage of Yunnan highways has reached 65,800 km, second only to Sichuan Province in China, among which there are 7 national highway lines, 6,081 km; 61 provincial lines, 8,971 km; county - level highway lines, 30,950 km and country roads, 19,757 km, and now highways lead to every township. Ten thousand length of highway in Kunming link Yunnan with other provinces and other countries. In the year of 2002, Yunnan had the highest high traffic mileages among all provinces in China. 1,570 towns in Yunnan can now be accessed via highway.